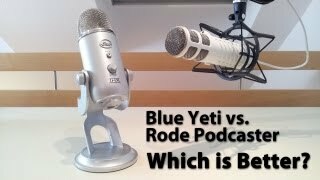 What To Buy: Rode Podcaster or Blue Yeti? As you can tell if you’ve listened to the audio sample above the Podcaster has a fairly flat response curve with a slight bump around 10k that should work nice with most voices. I felt no need to muck around with any EQ after the fact. The built-in pop-filter does a great job neutralizing plosives and I feel negates the need for any additional pop-filtering. 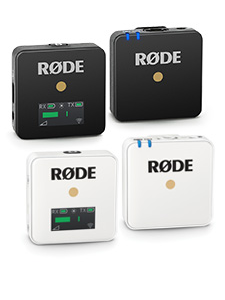 Additionally with a maximum SPL of 115db the RØDE has plenty of headroom to also be useful in grabbing quick demo recordings or song ideas on the fly. 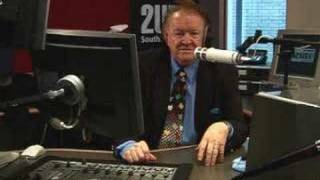 I’m onto my 3rd Podcaster and it’s the best thing that has happened to me in 35 years as announcer at the Seven network. I have a spare at the office and one that travels with me everywhere. I have recorded tags and commercials in the car out the front of my daughter’s school and even in the baby change room at the airport. As long as I can get a Telstra signal on the laptop then I can be “In the Studio” to record and send a WAV. This is without question the most important and useful tool in my audio kit, and I thank you for allowing me the freedom to spend time with my family as the days of having to dash into the booth at Seven or to rock into one of the affiliates studios when on holidays are gone. Thank God! I fired up GarageBand...It immediately saw the RØDE Podcaster, and I was recording in less than 60 seconds. I do have to admit that the ease of that transaction was not lost on me.If you want the best, get the RØDE. Combine the shock mount with the arm and for less than [AUD]$200 extra you're instantly transported from lonely hack in the spare bedroom to golden tonsils professional. Calibre is a free audio library for the blind with nearly 20000 members. We have 8000 titles in the library and we add about 400 a year. Half are bought in commercial audio books but the other 200 are the ones we need the Podcasters for. We have over 60 professional and semi-professional volunteers working from their homes who read the books into Sony SoundForge Home Studio on laptops and they nearly all use your mics and anglepoise stands. We did extensive trials on a number of mics. We chose yours for quality and ease of use. The 10 year guarantee gave us a lot of comfort too. There is absolutely nothing bad about this mic, it records very clear with no background noise. Very nice quality with a little weight on it. I love the headphone jack. Originally I purchased the Blue Yeti Mic. The problem was that the Yeti was way to sensitive and would capture vibrations from my desk or the fans of my desktop. Thus, I decided to try the RØDE Podcaster together with a popup filter, RØDE Boom and Rode shockmount. What a difference: now I have no problems with background noise, a bit better quality of the recording, and since I am using the RØDE Boom I have plenty of extra desk space in front of me. 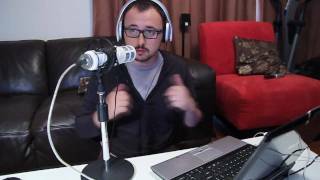 If you are an amateur podcaster with home studio this is probably the best mic for you. An excellent quality product as expected from RØDE. Well balanced and perfect for the use it was designed for. Quality is exceptional. I was pretty hesitant to spend more than $50 on a mic (yes, I'm a complete newbie at audio work) but this thing installed on my machine (Windows 7) within a few seconds of plugging in the USB cable - no prompting or questions asked. I fired up my audio recorder and did a few test runs... CRYSTAL CLEAR... so much better than the smaller external mics I had been playing with! I've got roughly a dozen hours recored now and they're all going to be uploaded to the web soon - all sounding very professional! I love this MIC! Not only is it so easy to use, but I sound BETTER than I do in real life! I tested it in my office and compared it to three other mics and this one is BY FAR the absolute best quality. I use it for all my audio now, even if I'm just doing something quick! 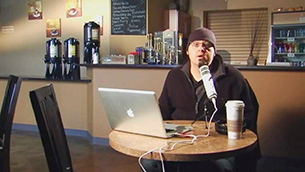 The Podcaster is very good quality mic regardless of whether it's used in a studio setting or remote location. Just plug it in and it's ready to use. You may have to direct your audio software to choose the Podcaster, but beyond that, it just works. It has a nice rich sound that will be good for broadcast as well. 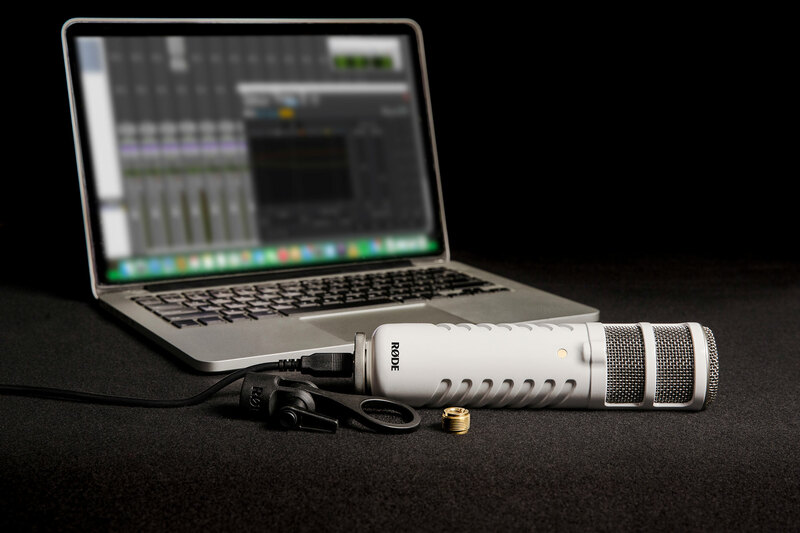 We use the RØDE Podcaster USB mic for producing short videos about our software products, and the quality of the voice recordings is vastly improved over our previous efforts. The Podcaster is perfect and was so easy to set up and use that I almost couldn't believe we had done it correctly . . . but it worked great on our very first try! I highly recommend this mic. Did some research on USB mics for recording voice overs for software tutorials. Took a chance on this mic. Construction - very solid, robust. Feels like a tank, which is what I need since I tend to drop things. Handling the mic - since its large and heavy, you need a solid stand. I bought a bass drum mic stand because it was smaller. I think an articulating arm gripped to a table would be better. Setup - using on a Mac or PC, drivers load right in. 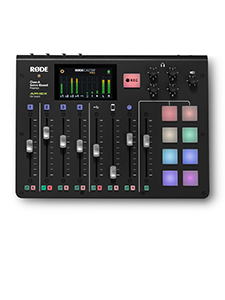 You just have to remember to go into control panel or sys pref and set the mic input and sound output to the RØDE. 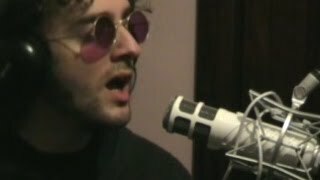 Sound - very happy with the sound, but like other reviews, I found you need to get close to the mic.....sometimes I get too close. 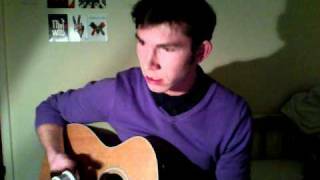 Other than that, the pick up pattern is great because it rejects sound from sides and behind the mic. Overall a great mic....definitely recommend it. 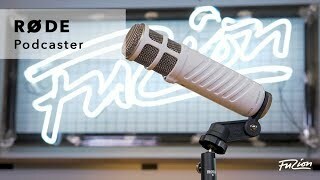 The RØDE Podcaster is a great mic for serious podcasters. I use it with Garageband running on my Mac and it works spectacularly. The feature where you are able to plug in directly to the mic to monitor sound is priceless. The sound quality is great as well. I totally recommend this mic! I got the mic about a month ago. First I was VERY impressed with the quality of construction. This thing is built like a tank. Its bigger and heavier than I imagined it would be. You will need a very sturdy stand for it. Once I started using it I was just as impressed with the quality of the sound coming out of it. The real time monitoring feature is very handy. 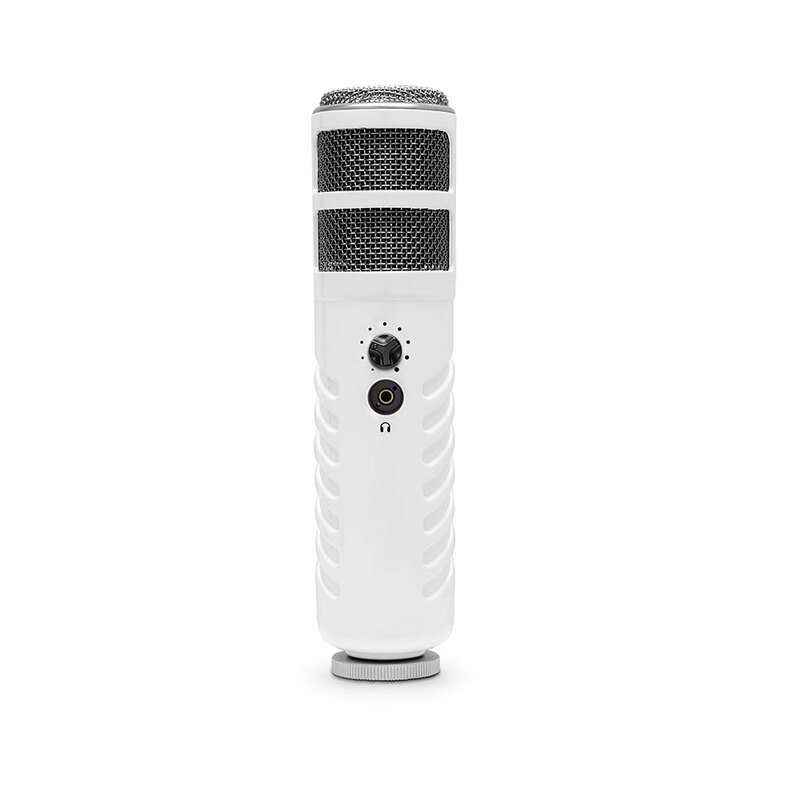 For the price, it is the BEST mic for amateur podcasters, screencasters, etc. And the for the price you get everything you need for a professionally quality mic. I love it. This really is one of THE best microphones on the market. 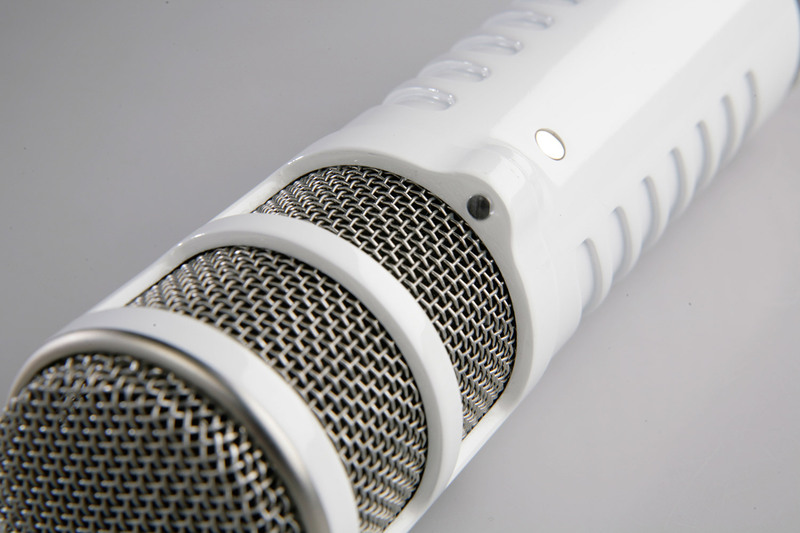 Unlike a lot of USB mics, the Podcaster has accurate vocal reproduction and durability. There's nothing cheap about this piece of equipment. 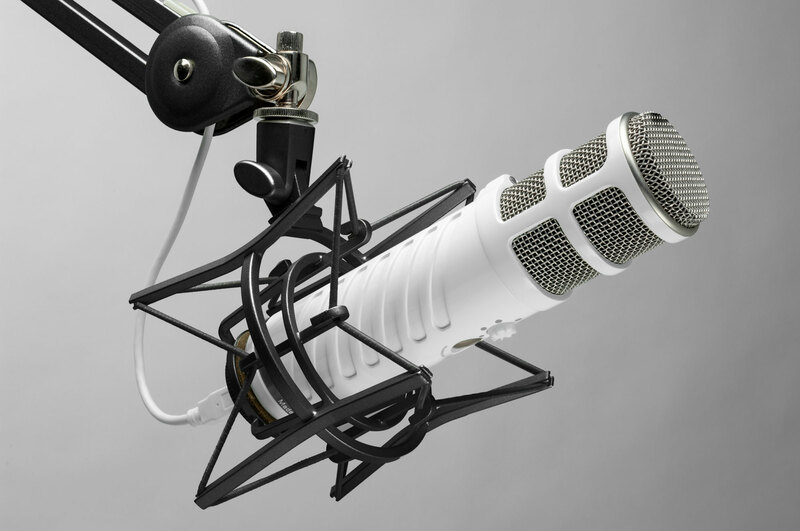 The USB mic is easy to use, great for podcasting and voiceovers and even interviews. Fact is, this mic is capable of doing a lot of things, and doing them well. Not to mention that RØDE is one of the finest audio companies around. They are committed to quality and it shows in every one of their products. 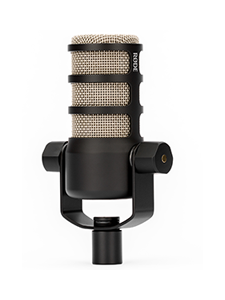 If you need a great sounding mic for narration or other voice-over work, and don't want to spend a lot of time with processors, then try this mic. I've used a ton of different mics over the years, and if money were no object, I would have purchased one of the Neumann broadcast models ... but since I was on a tight budget for a current project and needed something fast, I thought I'd give this one a shot, knowing it would at least be good enough for a decent recording that could be processed further. To my surprise, the sound quality was great with no upfront processing ... and very little post processing. Since time is valuable, this is a wonderful find! I've had to do a lot more tweaking for mics that cost many times more. Plus, it seems to reject noise well, and doesn't get weird if the user moves around a little while speaking. The mic is built well ... heavy and solid ... and doesn't feel the least bit fragile. A shock mount would make the whole thing look more impressive, but isn't really necessary for most applications.